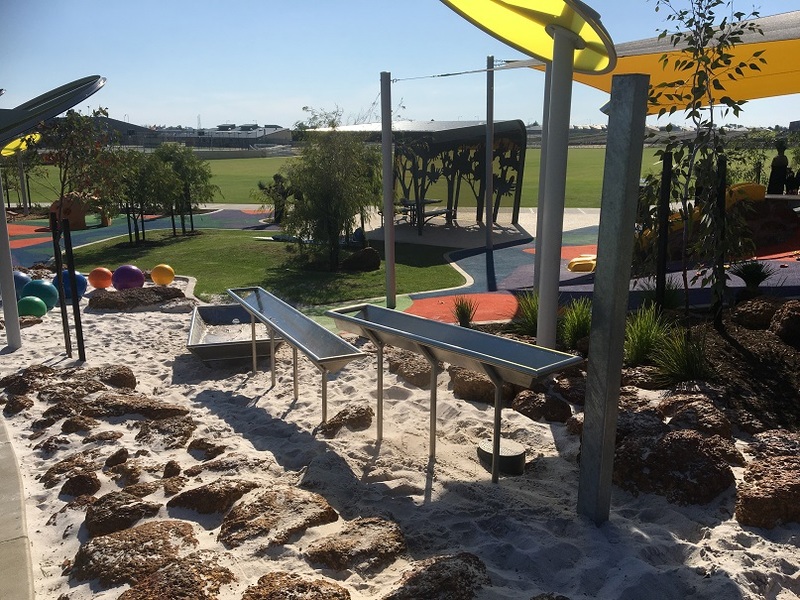 This amazing playground is the perfect place for both big and little kids to play. 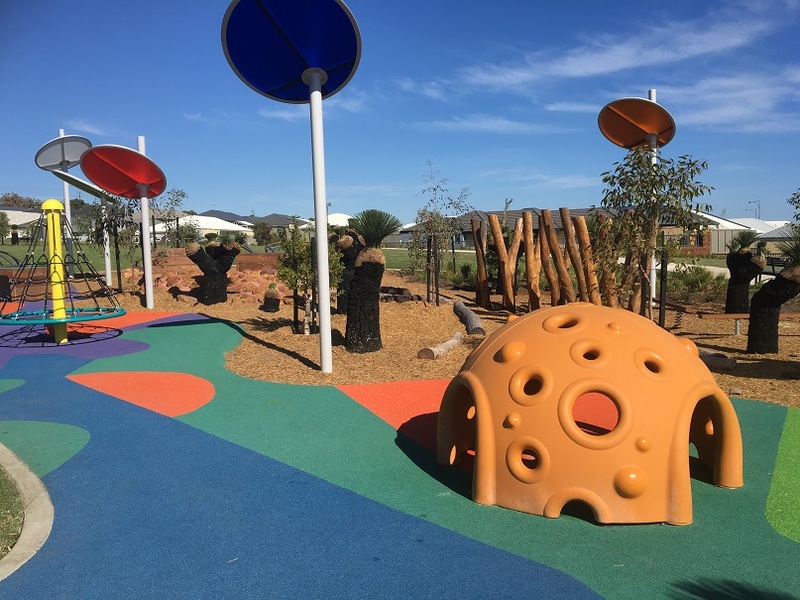 There are several play areas spread across the park, with lots of grassed area to run around, making this a fun place to explore and play. On the far side of the playground away from the other play areas are two large slides. 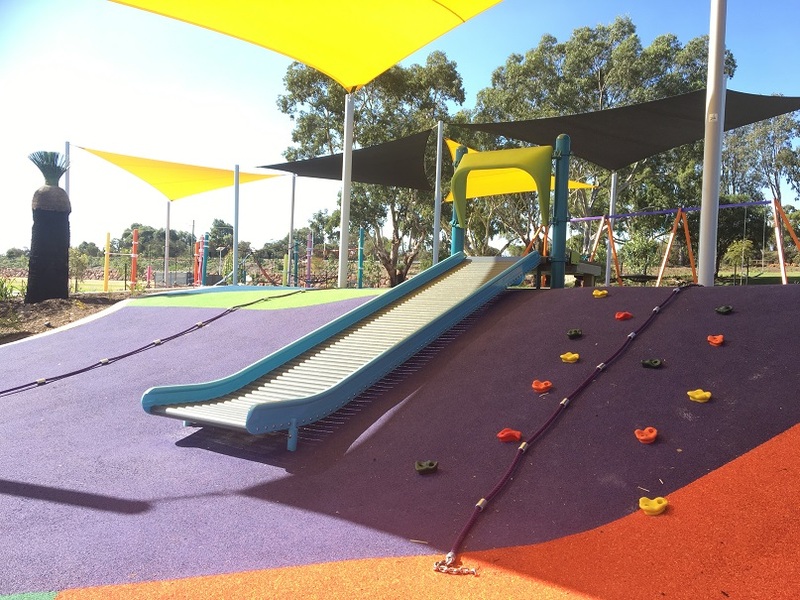 Kids can rock climb back to the top or run around the grassed area to slide back down. 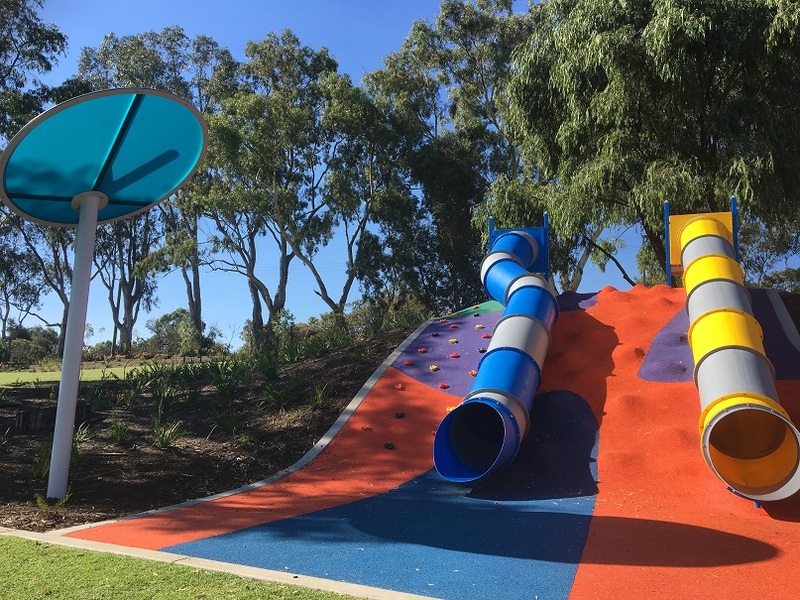 There is plenty for the little kids with an adventure play area packed with nature based play, low level climbing features, tunnels, slides and more. 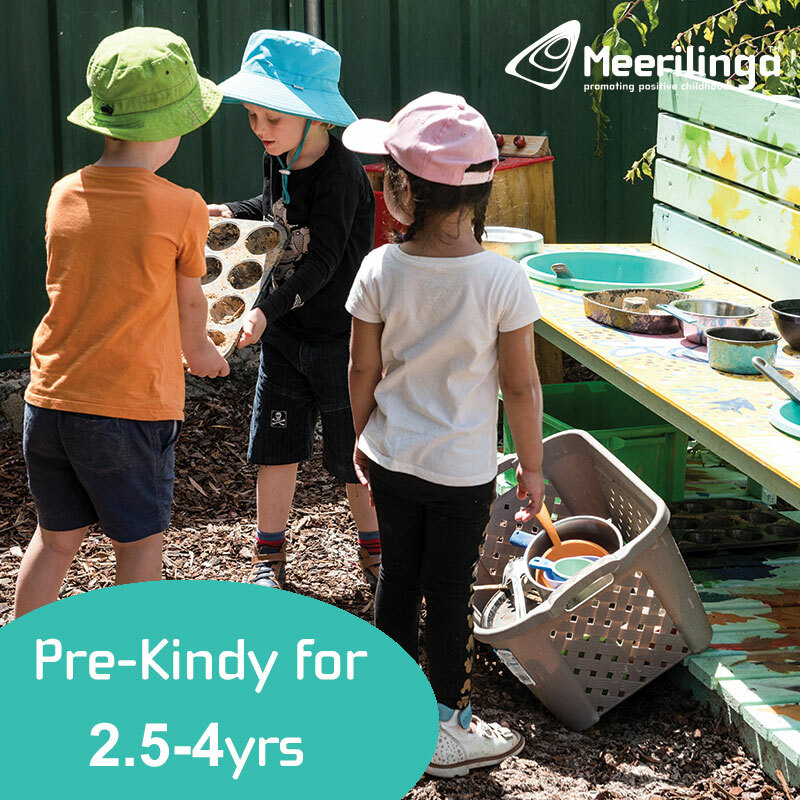 In this area is also some water play, so pack a spare change of clothes. 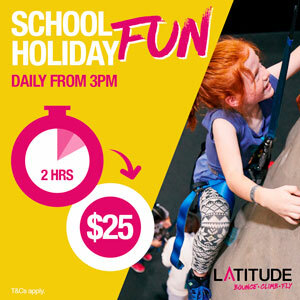 Climbers will love the ropes obstacle course section too. What's a park without swings of course. 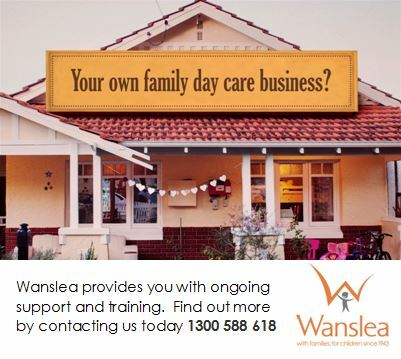 There is a toddler and an all abilities swing too. 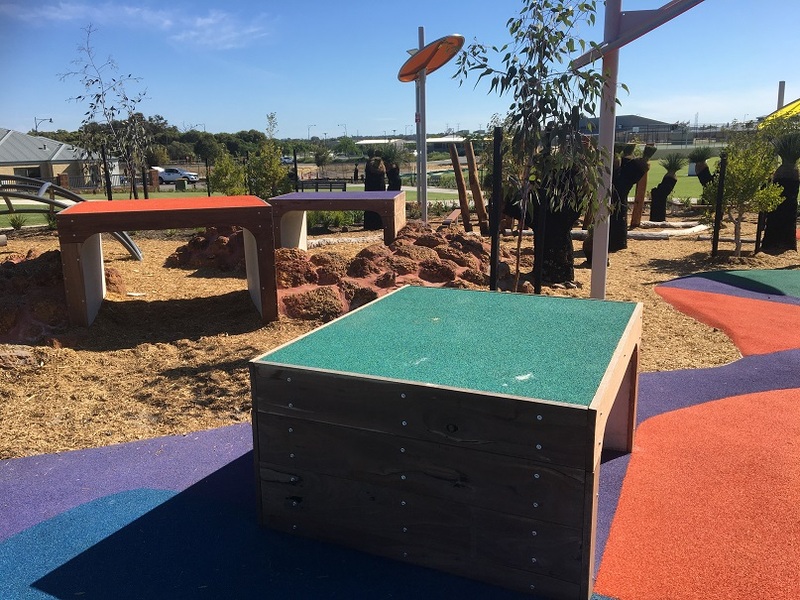 Wandi District Playing Fields Playground even has a mini skate park, perfect for little ones who want to have a go without lots of big kids around. 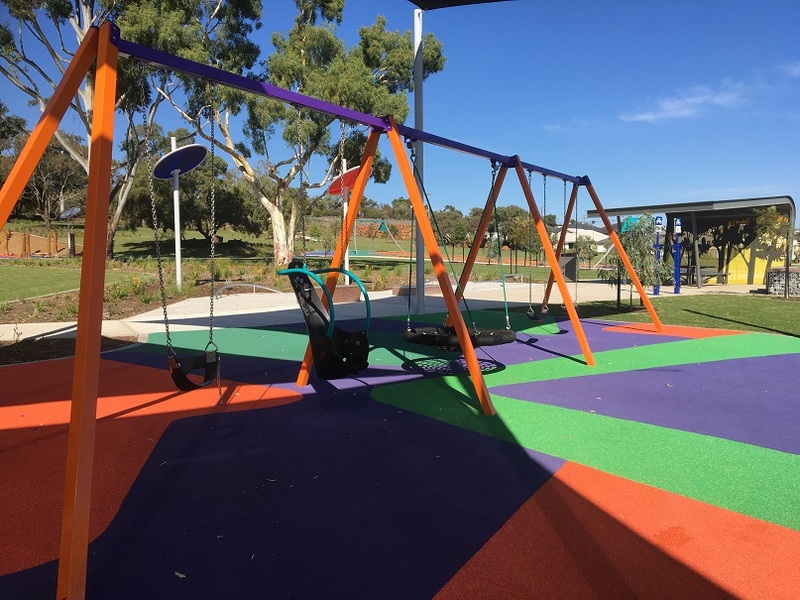 The flying fox is a hit with big and small, young and old too. 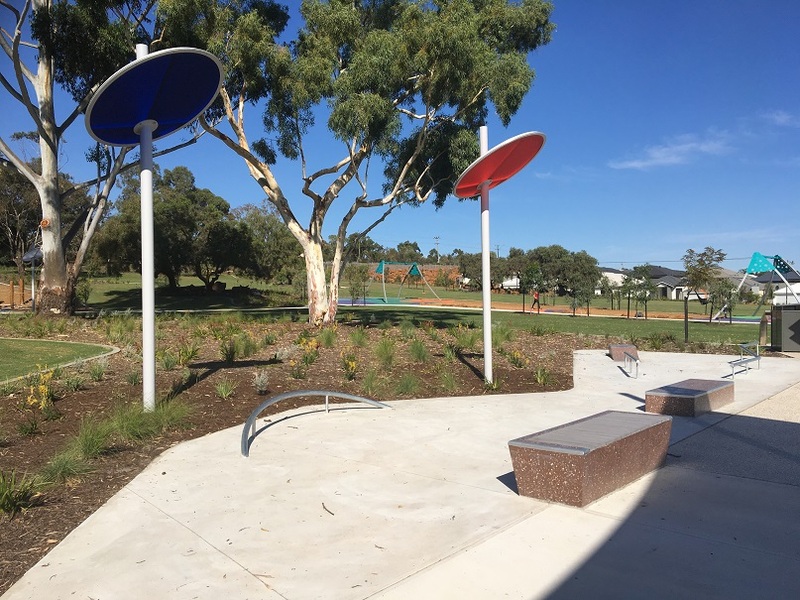 There are a couple of bbqs and picnic shelters and lots of seating located around the playground. Being in an estate that still under development, at the time of the review there were no toilets, however these may be installed at a later date. We found parking street parking on Needlewood Loop, however there is a large area that may be use parking at a later date. 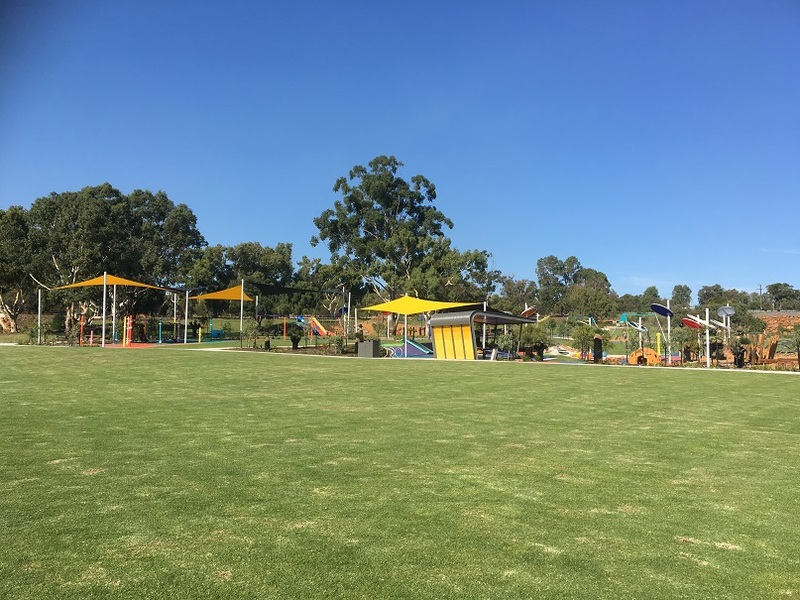 You can easily play the day away at Wandi District Playing Fields. It's spread out over a big area making it fun to explore. 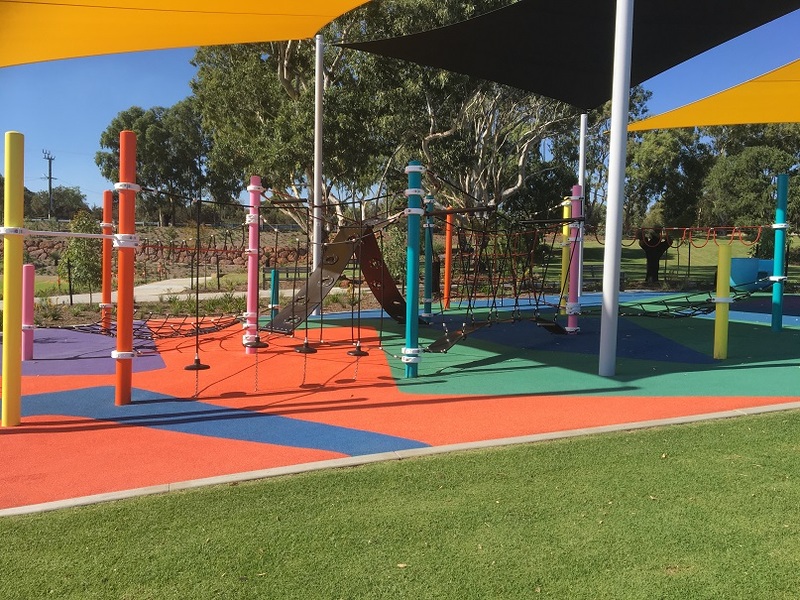 It has something for everyone and we love the layout, brightness and variety of play features at Wandi District Playing Fields Playground.